Honduras is home to 8 million people, making it the second-largest country in Central America. It is also one of the poorest countries served by FINCA. 60 percent of the population lives in severe poverty, and Honduras has the highest level of income inequality in Latin America. Most of the country's poor live in rural areas and depend on agriculture for a living. FINCA has operated in Honduras since 1989 and is presently licensed as a non-bank financial institution. This allows it to offer savings as well as credit through its 21 branches throughout the country, with a special mandate to deliver services to women, the poor, and people in rural areas. 57,318 Total FINCA clients Honduras has more non-borrowing customers than any other subsidiary in the region. 57 percent of adults in Honduras are excluded from banking services, which limits their access to resources and tools for managing their finances. FINCA Honduras is on the front-lines of this struggle, with significant outreach to women. FINCA also goes beyond credit and is extending a full range of financial services to its clients, including savings. This gives families the chance to optimize their cash flows and to set money aside for emergencies or future investments. Our clients in Honduras have some of the most challenging living standards outside of Africa. About a third of them get by without basic amenities like electricity and running water. The educational attainment of household breadwinners is also extremely low. Two-thirds of them have less than a secondary education -- only Tanzania and Guatemala fare worse in this regard. The educational level of the primary income earner is a key factor in a family's economic prospects, so closing this gap across generations is critical to breaking the cycle of poverty. 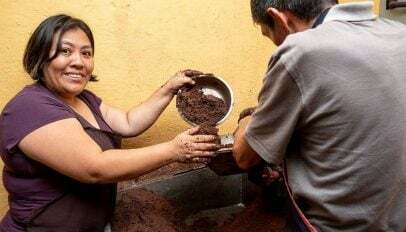 FINCA clients run relatively profitable enterprises in Honduras, but they still earn only $6,000 a year to support the family. Our clients are distributed across a range of sectors, including trade, services, and livestock (see Special Topics, below). but they all struggle to grow their businesses. FINCA's loan is responsible for 20 percent of the total employment in our clients' businesses. The quality of jobs, however, is relatively poor, with only 30 percent paying wages that are above the national poverty line. 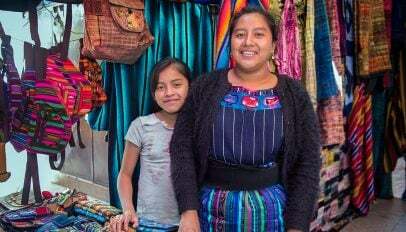 Most of our female clients in Honduras are their family's main breadwinner. Given the vast out-migration of men from the country, driven in part by an epidemic of violence, it is not surprising that Honduras also has the highest incidence of single motherhood (26 percent) anywhere in the FINCA network. Most of FINCA's borrowers in Honduras are women, and they run most of the businesses. 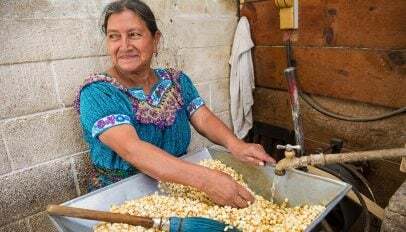 Many of these entrepreneurs are also hiring women, who make up three-fourths of the total workforce in FINCA-funded enterprises -- one of the highest rates of female employment in the FINCA network. FINCA's clients in Honduras have a range of goals and are using their loans from FINCA in different ways. A third of them are focused on business expansion, while about half that many are using their loans to start a new businesses. which is the highest in the FINCA network. Home improvement is also a very high-ranking goal, mentioned by 26 percent of clients. Fortunately, access to financial services is helping families in all these endeavors, as shown by the high rate of clients who say that they have achieved their goals with FINCA's help.